Most explosions occur from the the NE and the westernmost vent, ejecting incandescent material to typically 80-150 m height. The latter vent seems to be particularly active recently, with frequent ash-rich strombolian-type explosions such as in the images attached taken a few minutes ago. Strombolian explosions continue to occur frequently from multiple vents, but their frequency and size has decreased compared to earlier this month. The same is true for the overall seismic activity of the volcano. In addition, several active vents produce frequent, often relatively strong strombolian explosions. Friends from the island living near the ferry pier in Scari (E side) reported hearing sometimes very loud detonations. The volcano has already been in an elevated state of activity for several days, and an official warning had been issued a week ago. In addition, the summit area has been closed to the public due to increased risk. According to LGS from the Univ. 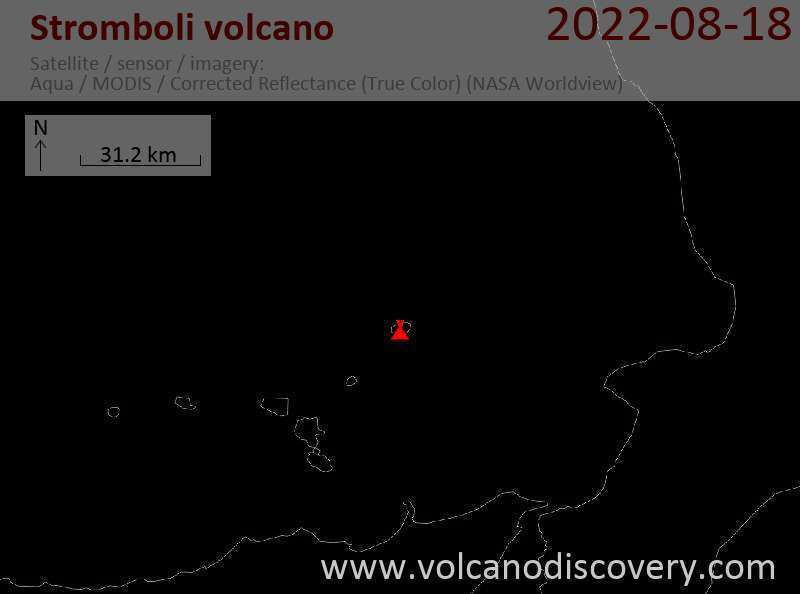 of Florence, who monitor take into account a number of parameters (in particular tremor, number of explosions etc) the volcanic activity level of Stromboli is "high". A total of at least 7 vents are currently active (spattering, strong degassing and/or explosions) in the crater terrace. The alert status of the volcano had been raised last week.